I’m putting together a list of future tutorials – and I’m looking for suggestions. What topic would you like to see covered? Thank you so much for your tutorials they were by far the most helpful when you have already decided where your countries are going to be. I think I got it right some of the time and found other ways to do things. Again thank you so much its been invaluable. I have attached a link to my new world, its my first attempt and I am very proud of it. That’s a great map! Congratulations! I’m very glad the tutorials have been helpful. Tunnels, those between underground caves, in three dimensions are very difficult to get across and tend to be represented in plan and profile views. But these two views are difficult to reconcile for long thin twisting passages and some 3d technique (hand drawn) would be very useful. That’s a challenging one. I’ll see what I can do. Good suggestion! I don’t know if this is within the scope of the type of suggestions that you are looking for but I would be interested in your process for determining the map scales (cities, islands, regions, continents) and geopolitical layout before you begin drawing out your maps. Based on the needs of a book or campaign, how do you go about insuring consistency of things like travel times, population distributions and types, activities supported, etc.? I realize that both historical research into relevant time periods and what an author may provide are foundational but, beyond that, what leads you to coming up with a map that is realistic (or realistic enough)? Cities ! Especially buildings ! Thanks for your disponibility, you’re always there if someone needs help and it’s greatly appreciated. I would appreciate it if you could manage to spend some of your time to show us how to do more Tolkienesque hand drawn maps. A tutorial on how to fill in some empty space by hand would be nice. Thanks, love the existing tutorials! Good call! I’ll see what I can put together on that. Thank you! And as others have said, a tutorial on something like “Beyond the Wall” would also be nice =)! Thanks for the prompt reply! How about a tutorial on how to use color to show depth and dimension on the city map we have all drawn in your last tutorial? Good call. I’ll definitely put that together. 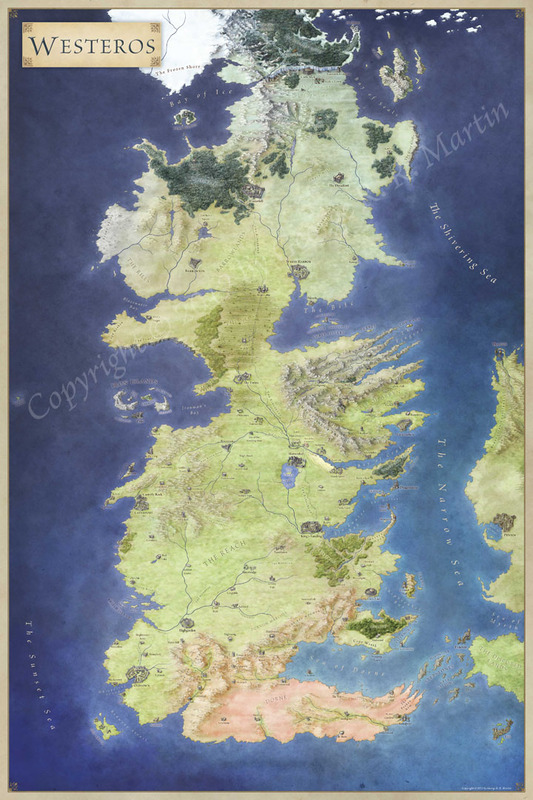 I’m loving all your tutorials, just for the record 😀 But for my particular needs I would love to see one about how you create features on larger-scale maps, like the Song of Ice and Fire set. For that matter, I would really appreciate one focusing on tactical maps – your tabletop maps are spectacular, so I’d love to see your technique, especially for those which involve buildings and such. I’ll put a battlemap tutorial on the slate for buildings. I’ve not done any battlemap scale tutorials for a while. Well, I mean like where the mountains look more like veins or palm fronds than a drawing of a mountain peak, for example. Though upon reflection, maybe the mountains are the only major difference; the rest of the terrain is really just colour, isn’t it? ^^; Maybe there’s not enough there for a full tutorial; maybe just a quick overview of what’s different, and what’s the same. Actually a couple of people have asked the same thing. I’ll get it on the list. I second the cities idea; been using the pen tools, but some organised, collected thoughts from a pro could help me consolidate a lot of my own techniques and take on others that improve the pipeline process. Equally Fox Lee’s suggestion regarding tactical maps; specifically assets to be placed on those maps and techniques used for rendering negative space, texture use and bringing different textures from multiple sources into a single piece, uniforming the different elements, if you will. Good thoughts – those are on the list. By negative space, you mean the walls of a dungeon the players don’t see? My pen tool tutorial for buildings is now live here: http://www.fantasticmaps.com/2013/03/how-to-use-the-pen-tool-to-draw-houses/ I hope that helps! I would love to have simple tutorial of isometric map with everything on them… mountains, woods, rivers, towns, swamps and so on… I´d like to see how it works together. How you overlay all of this? That’s a good one. I’ll see about bringing all that together in a quick tutorial so you can see how a general isometric maps works with all the pieces. That would be very generous of you. Thanks again for all other tutorials you made. That’s pretty specific! But I’ve a soft spot for maps with a strong elevation element. I love that photo. That would make for an excellent adventure setting. I know it’s a bit too specific. But if you manage to find some time, I’d appreciate it 🙂 Or maybe only some tips? I’ll take a shot. Thanks for the nudge. First I want to say Thank you! for your great tutorials! I am new to map drawing with Photoshop and before I read your great tutorials it was really frustrating. But with your guidance I can see the fun in it. I’m glad that this takes a little of the mystery out of the mapping process. For the house details (as with Redwall) I’m afraid most of the answer is – you need to do it by hand, bit by bit. There’s a couple of shortcuts, but at the end of the day you just need to put in the hours. However, I’ll knock together a tutorial covering a few of the tricks – probably later this week. Snow – good call. That’s a tricky one. I’ll add that in. THANK YOU for your tutorials your blog is fantastic and your creations too! more about citiy maping pleaze! You’re welcome! There will be a few more city mapping tutorials – keep checking in or subscribe to the updates and you’ll get them when they come round. Hey here. What kind of desert? Big sweeping dunes, or barren badlands? It is lodged between a jungle (SE), a river-delta/swampy landscape (SW) and a range of mountains (N). Towards the south it is mostly classic “sea of sand” desert with a few oasises and green chasms, towards the mountains it is more like arid, hard and rocky terrain. Oh, and its a black/white/grey pencil-drawn map. Thanks. I’ll put some notes together. I would like to see how you are doing your regional maps step by step. What i am interested in especially are those beautiful cliffs and also a sea (because i dont see that covered anywhere). From simple lines and coloring to shading. Of course if you find time, thank you ! Ps. i am talking about works like Free City map, Free Archipelago Map, or Mine Entrance Map. Thanks – I’ve had to take a bit of a break from the tutorials this year. I’ll try to get these cleared in the early new year.